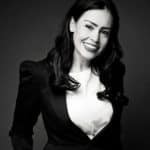 Author Bio: Dr Em is founding partner of the Pinnacle Practice, a well-being clinic and training consultancy in London, Harley Street, UK. She is a clinical therapist and performance coach holding a PhD in psychotherapy, mind–body medicine. Em is also an international trainer in her field, metaphysical researcher in the reversal of various physical and psychological health conditions and Author of the five-star reviewed book, Mind Body Diabetes and Out of Your Comfort Zone. Renowned for her distinguished results in helping people achieve what others have deemed impossible she implements a unique and holistic approach to all.